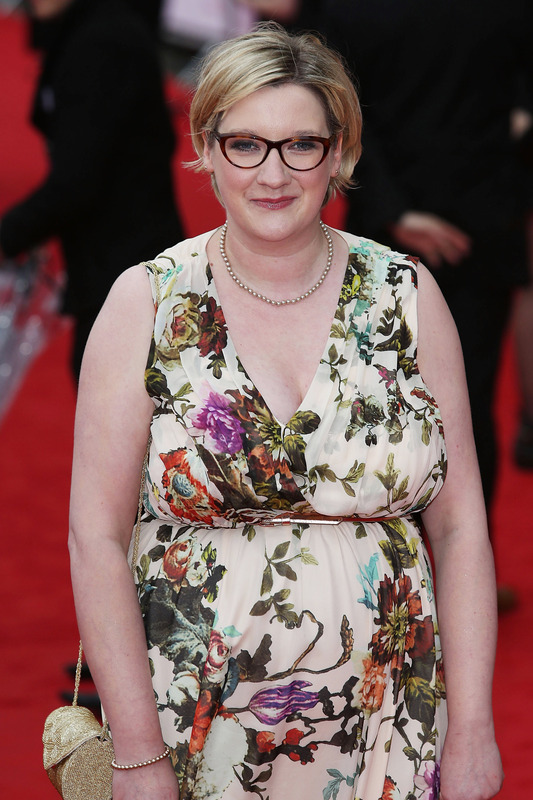 At last year's BAFTA Awards, comedian Sarah Millican wore a floral John Lewis dress to the ceremony. Her choice of gown was met with harsh criticism, especially on the Internet. Now, she's speaking out, in an essay penned for Radio Times that flawlessly shoots down her critics. Not every celebrity needs to place importance on fashion, although many do. As Millican writes in Radio Times, "I'm sorry, I thought I had been invited to such an illustrious event because I am good at my job." She is a comedian, one who freely admits that she doesn't think about clothes very often. According to PolicyMic, her gown was viciously attacked on the Internet for being "disastrous" and "nana"-like. Ugh, really Internet? Not cool. On the way home from the event, which Millican describes as "a wonder," she discovered the thousands of Twitter messages criticizing her dress and cried. "I was fat and ugly as per usual. My dress (the one that caused ooohs in a department store fitting room?) was destroyed by the masses." “I looked like a nana, my dress was disgusting, was it made out of curtains, why was I wearing black shoes with it?” Millican wrote. She emphasizes repeatedly throughout the essay that she is a comedian not a model or even a movie actress who regularly places importance on her appearance. The red carpet is very intimidating, although I garnered a few laughs when I replied to the “Who are you wearing?” question with “John Lewis” and the “Where did you get your dress?” question with “The Trafford Centre”. I had a few awkward photos taken by the wall of paparazzi. Awkward as I’m not a model (I’m a comedian), have never learnt how to pose on a red carpet (I’m a comedian) and I have pretty low self-esteem. Cyberbullying aside, the most important point Millican makes in her piece is that the traditional designer shops that red carpet veterans frequent don't carry much in size 18 to 20, which the comedian wears, meaning she "does not count as a woman to them." The industry that won't allow Millican to wear their fancy designer clothes is the same industry that criticizes her for wearing a less-than-flawless dress on the red carpet. It's heartbreaking, the way that we relentlessly tear women down based on appearance and nothing else. Being traditionally beautiful doesn't do much to protect you from the pain of that kind of scrutiny, but if you don't fit the mold, as Millican didn't at last year's BAFTA Awards, things are even worse. Female celebrities are constantly attacked if they make even a slight fashion misstep (anyone remember Christina Hendrick's Golden Globes gown of 2010?) Maybe we should all focus more on the talent these women are recognized for and not how skilled they (or their stylists) are at choosing a dress.